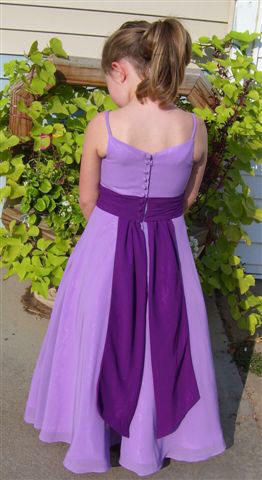 Lavender/purple chiffon flower girl dress. This custom flower girl dress is shown in lavender with deep purple sash. 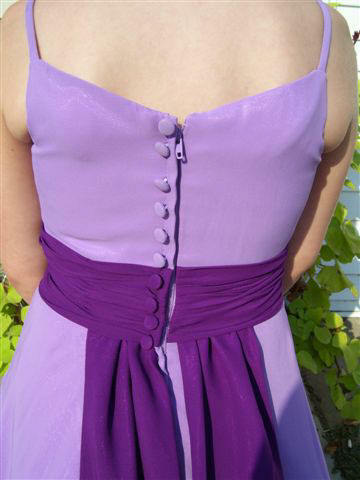 Your Satin dress is available in 70 color choices. 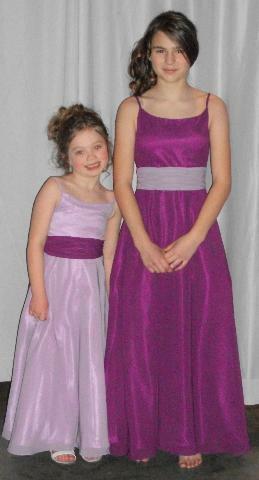 Flower Girl/Bridesmaid Dress delivery is 8 weeks. 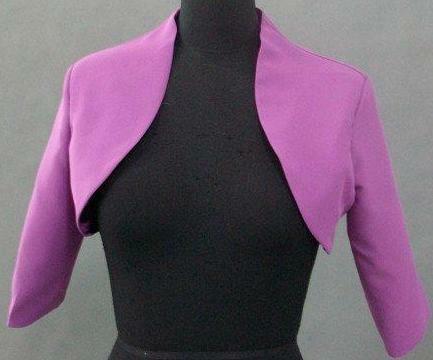 Cheap clearance close outs and cancelled Custom orders drastically marked down. These 2 lavender dresses can ship out the next working day.